The Karakorum range in Afghanistan, China, India, and Pakistan houses some of the tallest peaks in the world. Karakorum Mountains are the largest mountain range that lies between the borders of India, Pakistan, Afghanistan and China. 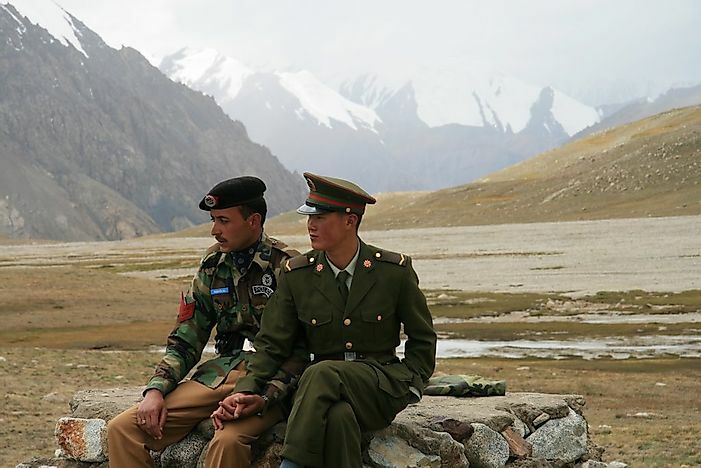 The mountain range lies in a particular region of Ladakh in India, Gilgit-Baltistan in Pakistan, northeastern frontier of Wakhan Corridor in Afghanistan and southern Xinjiang in China. Karakoram Range is one the Greater Ranges of the Asian sub-continent. It extends an area of 480 kilometers between the Yarkant and the Indus Rivers, South-Central Asia, Northern Kashmir and South East extension of Hindu Kush. The climate of the mountain range for some part is semiarid, continental as its southern slopes experience rain-bearing winds coming from the Indian Ocean, and northern slopes are dry. The temperature during the warmest month is lower than 32°F, and the characteristic climatic features are intensive solar radiation, rarefied air, powerful winds, etc. The notable peaks are K2 or Mt. Godwin Austin that is the second highest peak in the world, Broad Peak, Gasherbrum I, Kunyang Chhish, Distaghil Sar, etc. In the 19th century, the German explorer named Alexander Von Humboldt interpreted ancient Chinese documents, and the medieval Arabic works state about the pre-European knowledge given about the Karakoram Mountains. The British surveyors visited here in the year 1856, and the explorations that followed in the year 1910, and 1920 helped in establishing knowledge about its geography. The name of Karakoram was used in the 20th century by European explorers. The Canadian, British and the American scholars mainly carried the explorations in the area. Chandra Prakash Kala conducted floral surveys between 1999 and 2000 for the Shyok River catchment area and from the Panamik to Turtuk village. Subsistence farming and livestock raising are widely carried out in the area by the people. The crops mainly grown in the mountain region are barley, wheat, sweet and bitter buckwheat, potatoes, corn, and pulses. Tree crops like walnuts and apricots were the primary local food source for the people living in the area. At lower slopes, the days are warm and the nights remain cool. There is a deficiency of moisture in this area. The air is clean and the cultivation done is without the intricate irrigation facilities. People living in this area serve in the military garrisons, which is a source of income for them. The name of the mountain range has also featured in many novels and TV series. There are many beautiful places situated here. There are direct flights from India and Pakistan’s national capital. Many mountaineering expeditions also take place annually in the area. The habitat of the area widely includes the Marco Polo sheep or argali found in the Western Karakorum, the Ladakh urials, Siberian ibex, and markhors. Other animals found in the region are brown bears, snow leopards, lynx, kiangs, and wild yaks. Raptors like lammergeiers, Himalayan griffons, and golden eagles are also inhabitants the place. Several human activities like the hunting of rare species and grazing of animals in the upper areas of the mountain range adversely affect the ecosystem of the area. 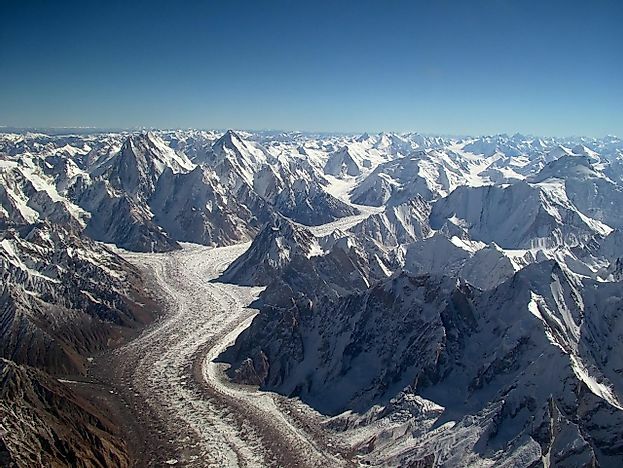 Global climatic conditions also affect the glacier melting in the mountain regions, adversely affecting the hydrology patterns of the Karakoram. Deforestation for human habitation and other anthropogenic activities is also common.